M. L. Latta (Morgan London), b. 1853 and The Tucker Engraving Company, illustrated by The History of My Life and Work. Autobiography by Rev. M. L. Latta, A.M., D.D. Raleigh, Montreal [etc. ]: M. L. Latta, . 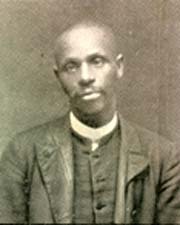 African American clergy -- North Carolina -- Raleigh -- Biography. Freedmen -- North Carolina -- Raleigh -- Biography. Latta, M. L. (Morgan London), b. 1853. Slavery -- North Carolina -- Raleigh -- History -- 19th century.